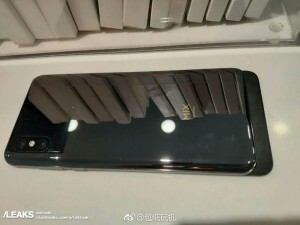 Xiaomi has shown off the Mi Mix 3 on several occasions now, but this isn’t one of those times – these are spy shots of the phone, perhaps the last ones before the grand reveal tomorrow. There’s little we don’t already know, but there are still interesting things to note in these photos. 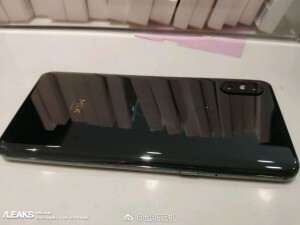 The RAM capacity is 6GB, which is usually enough, but Xiaomi has officially confirmed that the top-specced model will have 10GB of RAM. 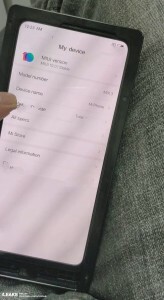 Going by the CPU clock speed, the chipset is a standard Snapdragon 845 (and not a Snapdragon 855). 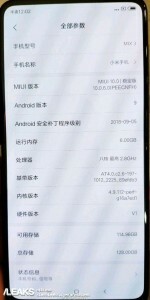 It will run MIUI 10 based on Android 9 Pie. It’s hooked up to 128GB of storage, of which 115GB are user accessible. 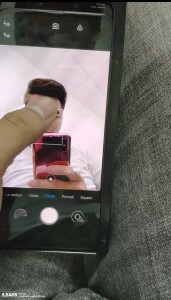 Check out the slide-out selfie camera. You can just about see its two lenses in this shot. And notice the “Slow motion” mode, this will be a 960fps video mode. We saved the best for last – the screen. 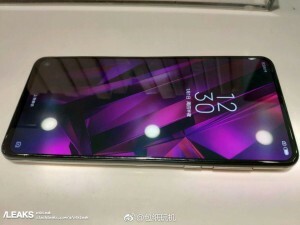 It has an (almost) uniformly thin bezel around it and no sign of a notch. That’s the benefit of the slider form factor (you can see the back of the slider in the second shot). The Pocophone is $300. The OnePlus 6 is around $550, and the 6T will be expensive enough that you can literally buy TWO Pocophones for its price.